John Sage has completed 50 years’ service for the Rose Building and Construction business based in Lawford. 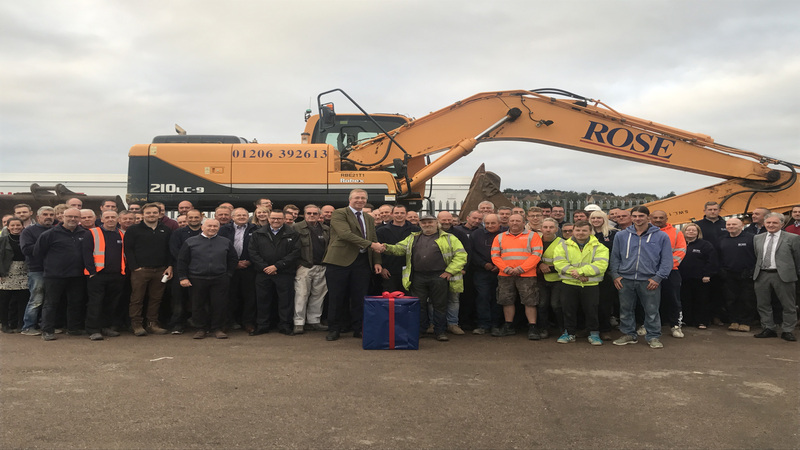 A breakfast was held to mark the occasion with over 100 of his colleagues as a celebration of his service to the company. During his time with the company he has worked on many local landmark buildings and local businesses. At the event, John commented that he thanked all his colleagues and work mates for supporting him and helping him over many years and he thoroughly enjoyed his work.